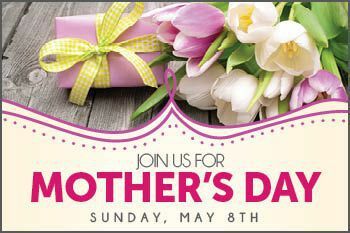 JOIN US FOR MOTHER'S DAY ON SUNDAY, MAY 8TH | 9AM-6PM! - Gourmet Sausages and More! - Vegetable Lasagna and More! Plus, a Flower for Mom!